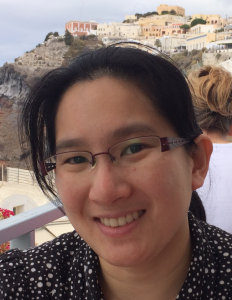 Dr Sue Ling Wan is a general ophthalmologist with special interests in Paediatrics, Medical Retina and Neuro-Ophthalmology. She completed her ophthalmology training at Sydney Eye Hospital. Following this, she was awarded the East Timor (Timor-Leste) Eye Scholarship from RANZCO. Before going to Timor-Leste, she completed training in manual small incisional cataract surgery at LV Prasad Eye Institute, Hyderabad, India. Dr Wan then lived for four months in Dili, the capital of Timor-Leste. During this time, she trained the local healthcare providers to progress them towards self-sufficiency and performed ophthalmic care throughout the country. She has undergone three fellowships, one in Australia and two in the United Kingdom. Firstly, Medical Retina at Royal Perth Hospital. Secondly, Neuro-Ophthalmology at Moorfields Eye Hospital in London. Thirdly, Paediatric Ophthalmology at Manchester Royal Eye Hospital. Dr Wan has several original research publications in peer-reviewed journals. She continues to have an active research career. Her current research reflects an interest in cortical reorganisation after brain injury, how the visual brain changes itself after suffering damage. Dr Wan enjoys playing many musical instruments including the violin and ukulele. She has performed with the Australian Doctors Orchestra, NSW Doctors Orchestra, and WA Doctors Orchestra. During her fellowships in the United Kingdom, she performed twice a year in the Queen Square Concert in London at the National Hospital for Neurology and Neurosurgery in support of the Ladies’ Samaritan Society. Dr Wan has skills and knowledge in a diverse range of ophthalmology sub-specialties as well as general ophthalmology. She is committed to providing the best ophthalmic care to the people of the Blue Mountains community. How to enlarge or reduce the text size on this website in your browser. © 2017 Mountain Top Specialists Pty Ltd T/A Parke Street Specialist Centre.